In 1996, the India Supreme Court ruled that horse racing betting is a game of skill, not just luck. Consequently, the 1888 Police Act or the 1930 Gaming Act no longer considers it to be an illegal form of “gambling”. Since this ruling, India horse racing has surged in popularity. Today, there are five Turf Authorities of India. These race clubs organise events at nine racecourses found around the country, complete with their own pari-mutuel wagering stations and trackside bookmakers. There are also many off-course and inter-track betting centres in most states. All offer live TV coverage of the contests and accept bets over the counter. Horse racing betting is a legal and regulated industry. However, as you’ll learn in this article there are many great opportunities for Indians to bet on international horse races online. This includes with such sites as betway.com, and even local races at betrally.com. Only the state of Sikkim offers legal online gambling licenses. To date, though, it has not issued any for horse racing betting. 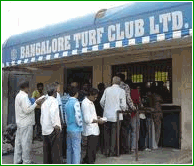 The Turf Authorities of India guard their hard-won right to offer pari-mutuel betting at their race courses and off-course centres. Meanwhile, they tolerate the sports betting sites for the time being. That’s because they do not want to run afoul of laws that may not strictly prohibit Internet gambling, but might be seen by the current government as declaring online betting illegal. Bettors, on the other hand, have broader rights. Putting money down on horses is a skill, and therefore not subject to gambling laws, according to some rulings. Likewise, to the best of our knowledge, there are no laws stopping people from placing horse racing bets with online wagering sites based abroad. From Hyderabad to America’s Kentucky Derby to England’s St. Leger Stakes and even the Japan Cup. There are many events for Indians to bet on their favourite sport via the web. Betrally is a great choice for Indian bettors. They offer horse racing betting from around the world. They offer easy deposit and currency options for Indians. Bet on Races Held in Mumbai, Hyderbad and more! You asked us to find a reputable racebook that offers bets on Indian horse races. WE FOUND IT! www.betway.com is the ONLY trusted bookmaker to take bets for races at Indian tracks. As a result, you can wager on international horse races held in the UK, Ireland, US, and elsewhere. You can also bet on horse races at Mumbai, Hyderabad races, Calkutta, a Delhi race, Mysore Race Club and more. This is a huge value for Indian horse bettors. Note: The Indian tracks will only show if there is a race scheduled for that particular date. You can only bet on Mysore races if scheduled, for example. Betway offers bets on horse racing (gallop, jumps, trot) and greyhounds. They do not offer bets on casino, poker, or other sports. Their focus on horse events, however, is welcome. We have therefore added Betway to our list of approved horse racing sites. See our guide for more accurate info on any featured event on live stream horse betting. One horse racing betting event that you want to avoid missing out on is the 2000 Guineas Stakes. Held at the end of April or the end of May, this classic British race was first run in 1809. Furthermore, it still continues to be one of the biggest horse betting events on the season. This race, which is open to three-year-old thoroughbreds and fillies, was won in 2018 by Saxon Warrior. It was also a record ninth win for trainer Aidan O’Brien. You should definitely start your 2000 Guineas betting preparation today! In India, a bettor must always physically make a horse race bet. Whether bets are placed on the Tote or with a bookmaker, trackside or off-course, the types of wagers accepted for Indian horse racing are more or less standard. The following list contains all of the most common types of bets. Win – A horse racing betting wager made on a specific winner of a particular race; only a horse which finishes first pays a dividend. The minimum bet on the Tote is Rs 10. Place – This horse betting wager requires the choice to finish among the 1st, 2nd or 3rd placed horses in a single race when there are 8-11 runners. If there are fewer runners, it pays only for finishing first or second. If there are more runners, a 4th placed horse will also pay a dividend. Shp – Also known as “Second Horse Pool,” this bet chooses a specific horse to come in 2nd (runner-up) in a specific race. The wager loses if the horse wins the race or else comes in third or worse. Forecast – Two choices are bet together to be the 1st and 2nd placed finishers in a single race in the order selected. Quinella – Two choices are bet in combination to be the 1st and 2nd placed finishers in a single race in either order. Jodi – Not yet widely available, this horse betting wager is a Win bet on a combination of two horses in a single race. Either of the two horses winning pays a dividend. The minimum bet unit on the Tote is Rs 10. The ticket will print the winning amount. Bar Bet – This new form of horse racing betting wager, introduced by RWITC, is a bet that any horse other than the favourite will win. In other words, it is a bet on the favourite to lose. Any other horse winning the race will pay a dividend. Tanala – Three selections are bet in combination to be the 1st, 2nd and 3rd placed finishers in a single race in the order selected. A correctly chosen winner, but with the second and third choices reversed, will pay a consolation dividend. Treble – This wager requires choosing all of the horse betting Winners of three different races. Only one or two selections being correct will pay no consolation dividend. Jackpot – This wager requires choosing all of the horse betting Winners of five different races. Correctly betting the first four winners, but with the last leg selection failing, will pay a consolation dividend. Super Jackpot – This wager requires selecting all of the horse betting Winners of six different races. Correctly choosing the first five winners, but with the last leg selection failing, will pay a consolation dividend. Kenchi – This wager requires selecting the horse betting Winners in a minimum of three or a maximum of five races. At least two horses winning will pay a dividend. Accumulator – This is a multi-race bet. Selections are made on one horse in each of 2-6 different races to Win or Place. If the first choice is successful, the winnings roll over to the next selection. As long as selections are successful, the rollovers continue until all selections pay out. However, if even one selection is wrong, the entire wager loses. The totalisator or –Tote– is a computerised form of pool betting. It totals all of the wagers made in a given race or combo of races, deducts taxes and fees, and divides the proceeds among the winners as their dividend or payout. In this sense, the odds offered are “variable”. Before wagering closes and the race begins, the odds will move up or down, depending on how many wagers are made and at what value. At any given moment, a Tote board (computerised display) shows the the current price (odds). Each Club accepts bets at the hundreds of automated Tote booths set up at the racecourses. You can also wager by going to a manned Tote window, and buying a cash voucher from a Tote Service Outlet. Or calling over the Tote’s trackside roving operator who carries a hand-held computer. Some of the Clubs also operate off-course centres showing televised races. You can place Tote wagers there. No matter the facility, all of the Tote bets made become part of the same shared pool. Bookmakers, on the other hand, tend to offer “fixed odds” that pay at a specified rate if the wager succeeds. An example would be picking a horse to Win at 5/1 odds. Every Rupee wagered will then win five if the bet succeeds. This way, the bettor receives a fixed price on a bet. No matter the subsequent rising or falling odds. Which Is Best: Fixed Odds Or Tote? Either horse betting method involves some risk. A pools wager on the Tote at 5/1 might be worth only 4/1 or 3/1 by the time all of the bets are in. Or, a fixed wager at 5/1 will never deliver more than 5/1. Even if the odds then go up to 6/1 or 7/1 before the betting closes. For this reason, some bookmakers offer a “starting price” or so-called “SP odds”. The contract is for what the odds are when the betting closes. This is often quite close to the Tote odds. Of course, Clubs compete with bookmakers for customers’ wagers. So incentives exist to induce more Tote betting. “Fixed Tote odds” “are foremost among these. In other words, bettors now have the choice to bet at fixed odds with the Tote as a “computerised bookmaker”. The winning amount is paid at odds set at the time of the wager, and printed on the ticket. Another form of incentive given by clubs is the so-called “bumper prize”. This is a reward in addition to the dividend paid for a winning Jackpot or Super Jackpot. For instance, the RWITC recently offered a Mercedes on Indian Derby Day. Choosing whether to wager with the Tote or the bookmakers should take the cost of making a bet into account. As noted in the section above, most Tote bets start at Rs 10. They can be as little as Rs 2. Bookmakers, on the other hand, tend to require bets of at least Rs 50. What’s more, Government Taxes charged for Tote bets are often half as much as those applied to bookmakers’ tickets. Lastly, it is the task of the bettor to know the horse racing betting payout rules. If a horse withdraws prior to the race or there is a disqualification, it can greatly affect the outcome and the odds. Knowing what measures are in place for dead heat payoffs is important, too. This will help to avoid any nasty surprises at the pay window. If you’re a fan of horse racing in India, you can follow it at www.indiarace.com. Get race updates, Indian horse racing tips and much, much more!